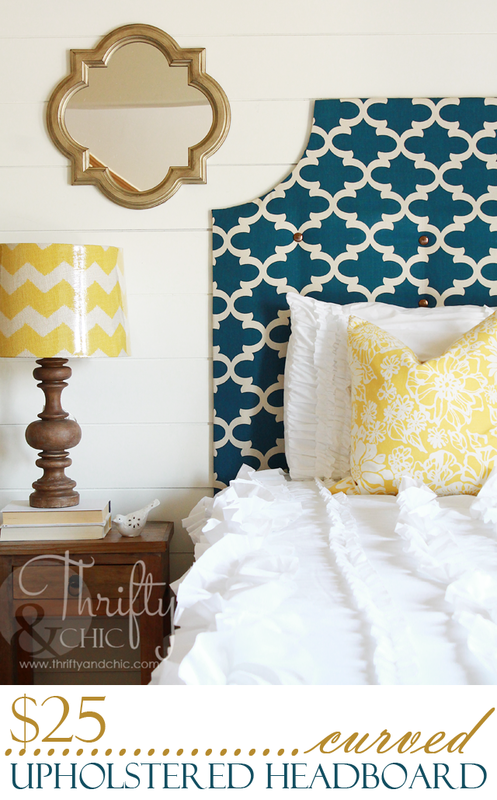 Easy Curved Upholstered Headboard For Under $25! Hi everyone! I had a great opportunity today to demonstrate my favorite go-to DIY project for any bedroom on Studio 5 (a local show here in Utah for those of you who aren't from around here :) ). 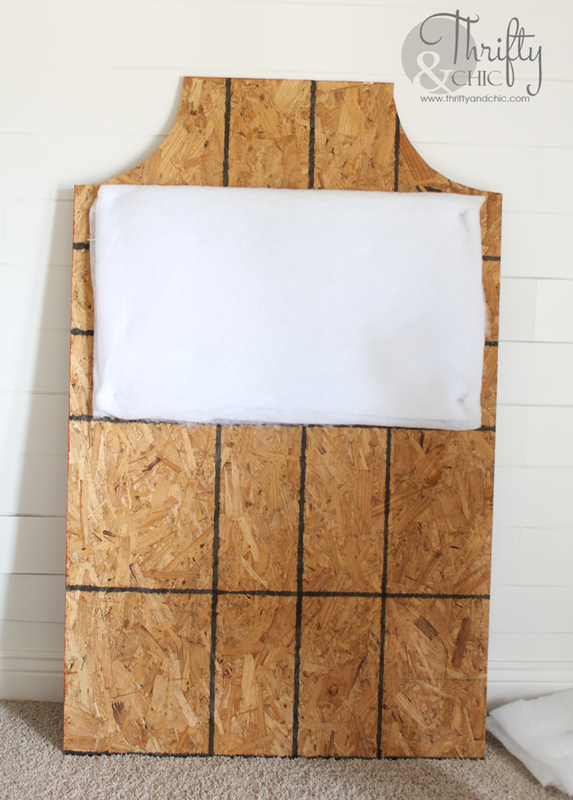 You may remember the white headboard that I made for a guest bedroom (in this post). Well, I decided to amp it up a bit and make one with a little curve and with some great color. The measurements for this are for a twin headboard. It is 40" wide and 60" tall. If you want to make this for any size bed, you can follow this post here for further details on how to make it taller and wider, but as a rule of thumb for measurements, just make sure that the plywood and fabric go at least 2 inches below the top of the mattress and 1" or 2" past each side...and the ceiling is the limit for the height! Step 3: Okay. Now it's time for your batting. You can fill this whole thing with batting if you really wish, or if you want to go cheap (like me) you can just do the part that the head will hit. I placed about 4 layers of batting on this. Secure it in place with a staple gun and staples. Step 4: Place your fabric on a flat surface upside down. 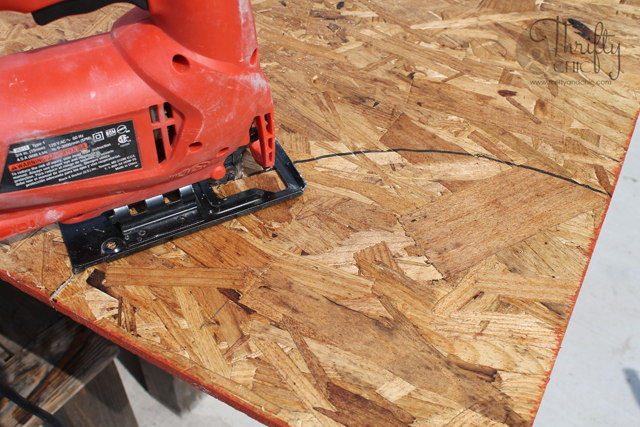 Place your plywood on top of it with the batting towards the fabric. 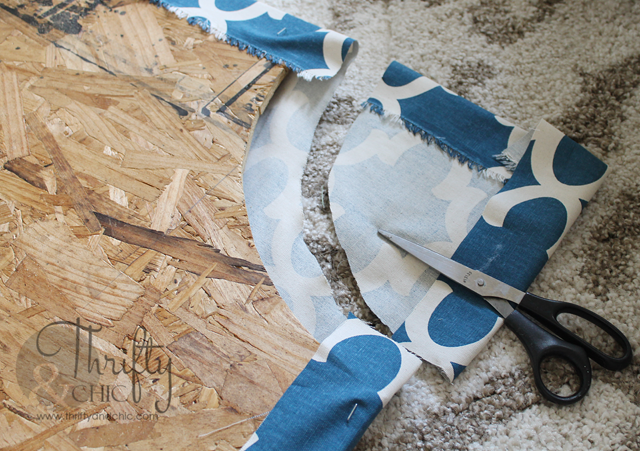 Cut the fabric around the plywood so it will fold over by 2-4 inches. 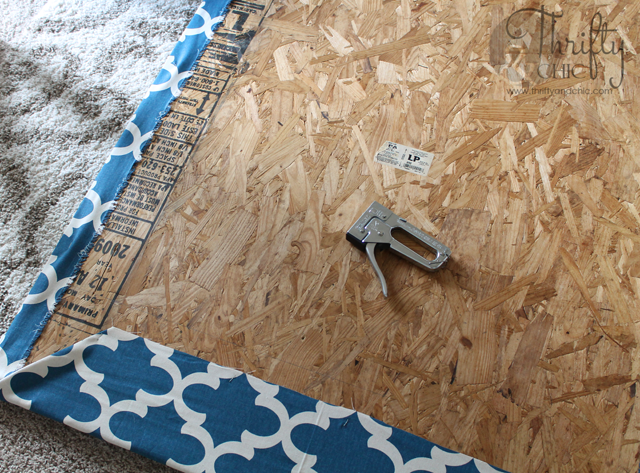 Start folding the fabric over the plywood and securing with a staple gun. 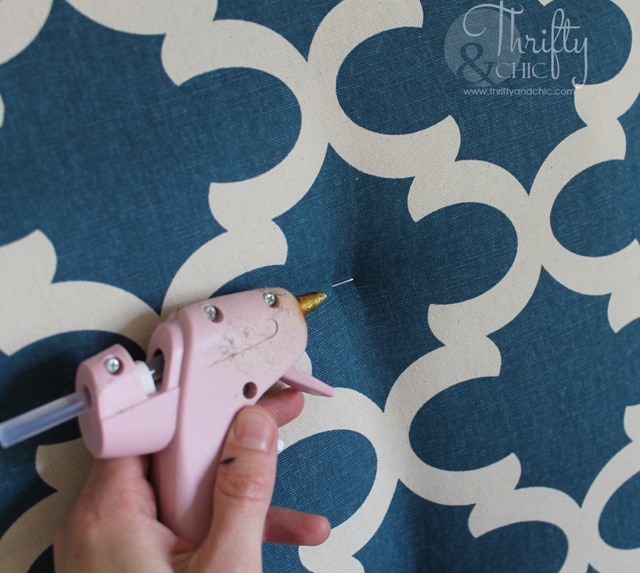 If you have a design on your fabric, try to make sure you are securing your fabric following the pattern of the fabric. So, find a motif or point on your fabric that repeats, and make that point be the one that lines up on the edge. Make sure you following this rule all the way around. If you don't, you may just turn it over to find a crooked mess :) Of course each edge will be a different repeating point more than likely. For the curves, you'll find that it is impossible to fold fabric over if you leave it square. 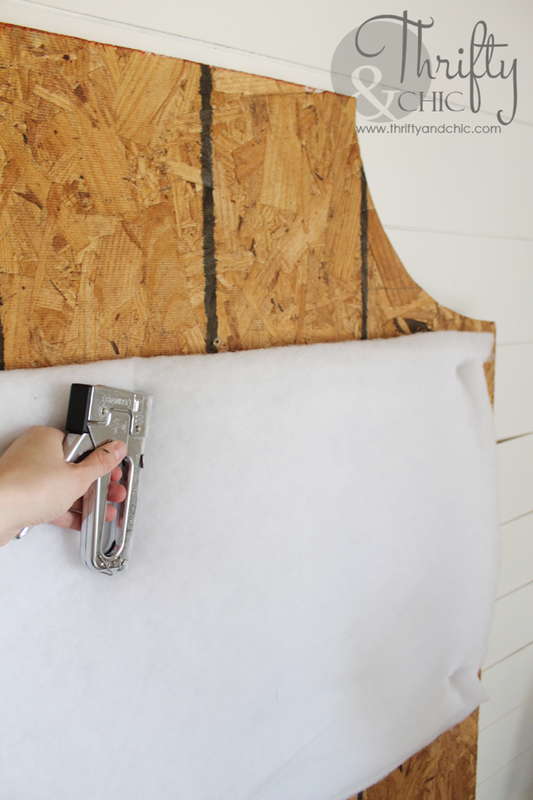 So, cut the fabric about 2 inches away from the plywood following the curve. Step 5: Now decide how many buttons you want. I like to have three over and three high. So, divide your board and find where your marks should go. If you have a pattern, once again, this makes it super easy :) You can just put the buttons on the same point in design. I believe I did mine every 10 inches. Just make sure your marks are on top of the batting. This will give you the great tufted look. And make sure that the middle mark is directly in the middle of the headboard; so for this headboard it will be at 20". Once you are done stapling. Pick your buttons. I like to use ones that don't have holes, or at least noticeable holes. 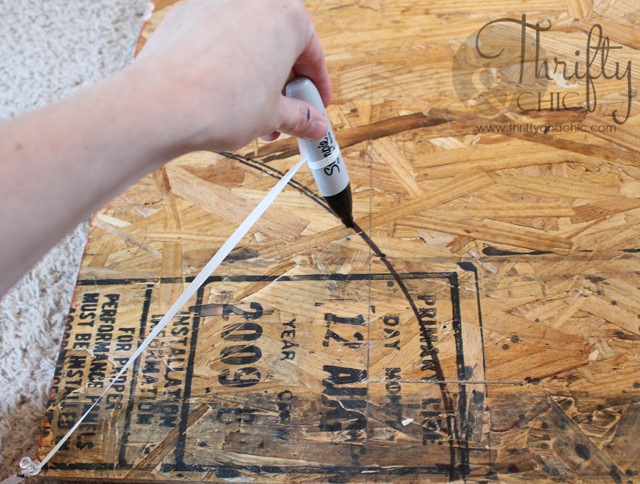 Now use your hot glue gun and glue them straight onto the staple. To make this cheaper, you can use an old comforter/blanket for the batting and of course use cheaper fabric like a sheet :) And yes, I used a coupon for everything on here except the plywood. Great headboard and I love the fabric and the style. Stunning. 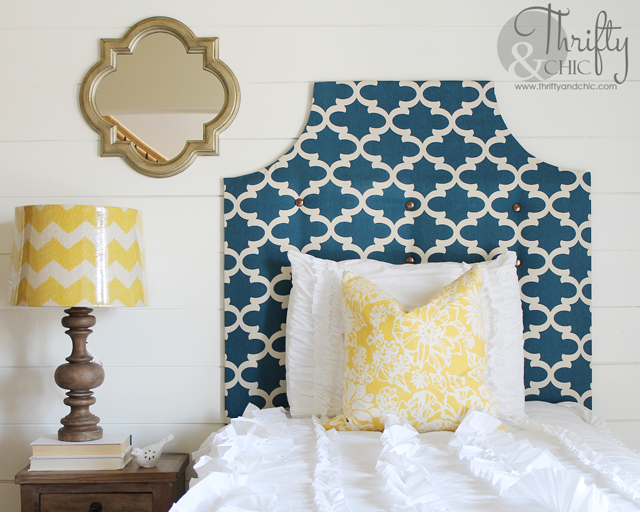 Absolutely love the headboard and the choice of fabric combinations! Thanks for the tutorial and linking it up to our Inspire Me Monday! I can see Kristin already beat me here! Ha! Love your headboard!! I'm featuring it tomorrow in my Friday Features... apparently a big hit with us Inspire Me Monday gals. Thanks for linking up! How about using a small screw and small washer to glue the button on as opposed to the iffy staple?